At £6.6m West Brom forward has already recorded 31 FPL points, but should managers avoid at all costs? The goalscorers dominated the Fantasy Premier League bonus points in Saturday’s 1-1 draw at the bet365 Stadium. Stoke City’s Joe Allen (£4.8m) picked up three bonus points, scoring 27 in the FPL Bonus Points System. The summer signing carded a fine all-round display for the home side, opening the scoring in addition to producing four successful tackles and nine recoveries. Salomon Rondon (£6.6m) received two bonus points, with 24 in the BPS. The Baggies striker fired a late leveller, supplementing this with two completed tackles and three recoveries. Potters defender Geoff Cameron (£4.4m) was awarded a single bonus point. Handed a role in central midfield Cameron earned a BPS score of 15 thanks to two successful tackles, five recoveries and three clearances, blocks and interceptions (CBI). 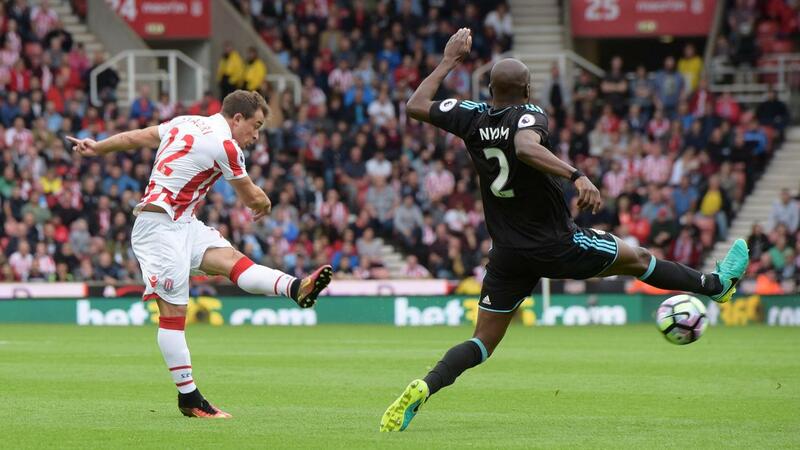 Stoke dominated the ICT Index at the bet365 Stadium, claiming four of the top five positions. Goalscorer Allen was ranked top with an Index score of 11.4. The Welshman produced two attempts on goal – both from inside the box – and also created two scoring opportunities for Mark Hughes’ men. Xherdan Shaqiri (£6.3m) sat in second spot, scoring 10.7 in the Index. In his first start since Gameweek 1 the fit-again Switzerland international registered four attempts on goal and created as many scoring opportunities for his team-mates. Rondon’s score of 7.2 was enough to take third spot thanks to his last-gasp strike. The West Brom forward produced four efforts on goal, with two shots coming from inside the Stoke penalty area. Shaqiri’s return from injury will give Hughes confidence as he continues to seek a first win of the season. The winger led the way for completed crosses (four) and earned a top 10 spot for ICT Creativity, scoring 59 in the Gameweek. Elsewhere, the Potters' manager afforded Lee Grant (£4.0m) a start in goal with Shay Given (£4.5m) making way to the bench. That could present FPL managers with a further option in goal in the budget-price bracket, with Grant potentially retaining his start in Jack Butland's (£4.8m) absence. For West Brom, Rondon’s goal took his tally to three strikes and an assist for the season as he becomes increasingly influential. The Venezuelan is second only to Sunderland's Jermain Defoe (£7.1m) in terms of value up front, having produced 31 points in six Gameweeks so far. However 5.2%-owned Rondon will now have to produce against some testing opposition over the next month. Fixtures with Tottenham Hotspur, Liverpool and Manchester City lie in wait following the Gameweek 7 trip to Sunderland.